Just one year ago, there were two WJHA minor hockey teams, both of which, worked incredibly hard and endured a season without any league archived victory and still kept positive attitudes. These players showed up to the games ready to give their best, even though all odds were against them on the scoreboard. Their families came out to show support, and brought cowbells and home-made noisemakers to rattle and cheer, even when scores were lopsided and out of reach. One year later, the steadfast familial support, hard work and perseverance by the players has given everyone countless opportunities to cheer. The cowbells are out in full force, confidence has grown, and WJHA players are coming together as true team members ready to give it their all. 2016-2017 was an action-packed season for WJHA Minor Hockey. There were several milestones achieved and tremendous progress was made in the second year of minor hockey involvement. The returning Atom Boys began their season by recording the team’s 1st ever victory. The 4-0 win was a major change from a 28-0 loss the year before. The Atom Boys built on the season opener’s momentum and carried on to be the 4th highest scoring team in Hockey Winnipeg’s A3 Atom West. They finished the season with 13 PTS (5-12-3) before a great run in the post-season. The WJHA Atom and WJHA Peewee Girls had returning players placed on both rosters, and many new players were welcomed to the teams. Highlights of their seasons were the Winnipeg Jets Challenge Cup Christmas tournament, won by the WJHA Atom Girls, and the All Girls Spring Classic tournament at the MTS Iceplex. 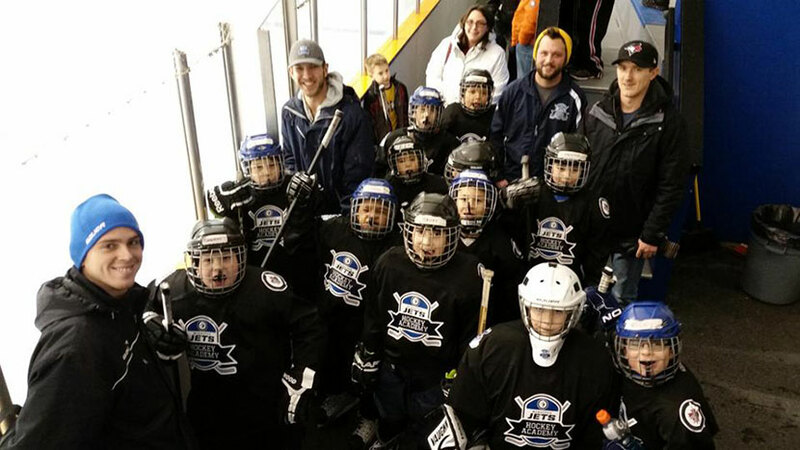 To round out the four rosters, the new WJHA Minor Peewee Boys team did not take long to get up to speed and take a few opposing teams by surprise. They collected 9 PTS (4-15-1) on the season and had a strong showing in their first playoff appearance. The playoffs were an extremely exciting time of year and support from all the minor hockey families was overwhelming. After dropping their first playoff game, the Atom Girls rebounded and put together back-to-back wins, their 1st and 2nd league victories. They eventually fell to the 3rd ranked Stonewall team, but finished the year with growing confidence. Both boys’ teams also had 2-2 playoff records and faced off admirably against high ranking teams, keeping fans on their feet and battling deeper into their playoff brackets. The WJHA is very proud of the growth and development displayed by the players and could not be happier with the efforts shown over the course of the year. With 2016-2017 in the books, the WJHA looks forward to increasing the number of WJHA minor teams to six for the 2017-2018 season!